A romantic thriller mystery. It is 1821 and smuggling is rife on the English coast. Lucy Yorton finds it impossible to know who to trust, while those around her suspect she is a spy and treat her accordingly. 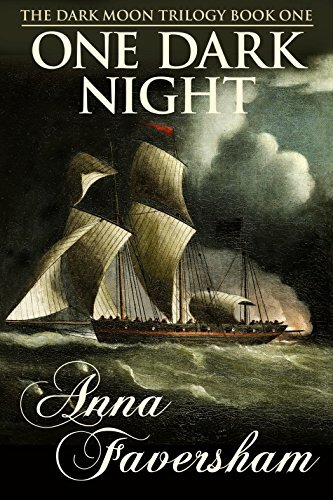 Her problems increase when two men enter her life: one a smuggler and one a King’s man sworn to hang the other. “Why?” Lucy wondered if it was wise to hold her ground now that Daniel was no longer a boy. “Why?” The word had come out quicker than she’d intended. Should she play these games with someone who held her livelihood in his hands? I have lived most of my life in Kent, England but I’ve also lived in New Zealand and central Africa. Both had a lasting influence. Africa dragged my love of writing to the surface. Living some forty miles from the nearest tarmac road and seventy from anything pretending to be a bookshop, I soon ran out of bedtime stories for the children. Scribbling began. On returning to England, fiction had to take a back seat as real life took over, you know the sort of thing – a proper job to keep feeding the mortgage and the growing family, and chores, chores and more chores. But a love of writing finally erupted into regular tap-tapping. I’ve written and read for the BBC and published short stories. Finally, a little more time was found, three novels have been completed, and more are in the pipeline. And what do people say about the books? “Dark romantic mystery on a knife edge throughout” – One Dark Night, Tony Spencer, Amazon.co.uk. “Under a Dark Star is a beautifully written story with a plot that had me believing that I was really there.” – Under a Dark Star, Kevin Marsh, Amazon.co.uk. The book is also available here and here.